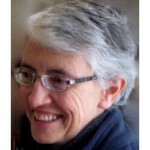 Sr Alison Munro, a Dominican Sister of Oakford, has been the Director of the SACBC AIDS Office in Pretoria, South Africa since 2000. The SACBC AIDS Office supports AIDS programmes of the Catholic Church providing antiretroviral treatment and adherence monitoring, TB screening, the care of children orphaned and made vulnerable by AIDS, and an orphan housing in South Africa, Swaziland and Botswana. She has worked in high school education in South Africa and Swaziland, as the manager of Catholic Services, and on a land reform project for her Dominican Congregation. She is the co-editor of “Catholic Responses to AIDS in Southern Africa” published in 2014, and holds Masters degrees in Theology, and in Counselling Psychology and Education.